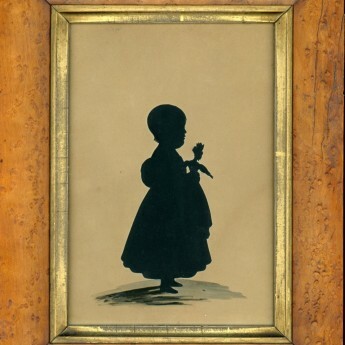 This is a delightful full-length cut silhouette of a little girl named Julia Palmer holding with her favourite doll. Julia is wearing an ankle-length dress with puffed sleeves and, according to an inscription on the reverse, is aged 4¼ years. 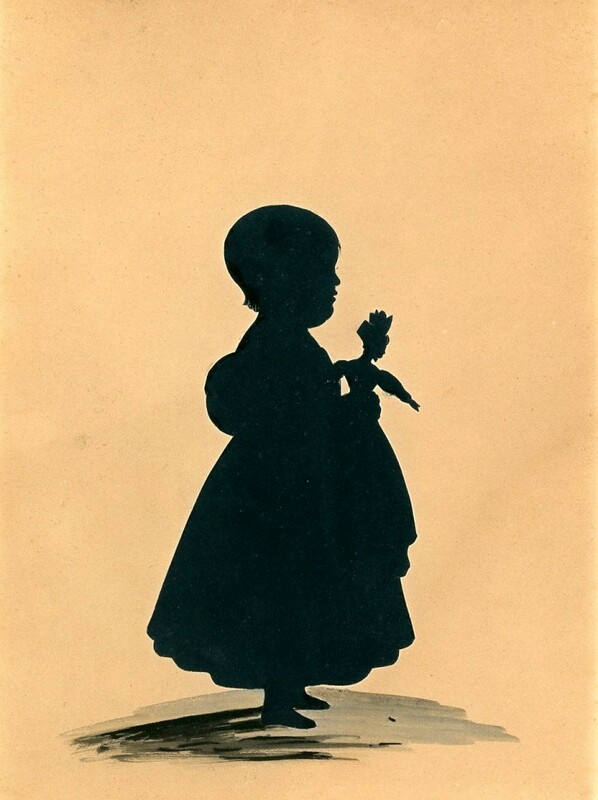 Her doll is fashionably dressed in a long dress and tall bonnet. 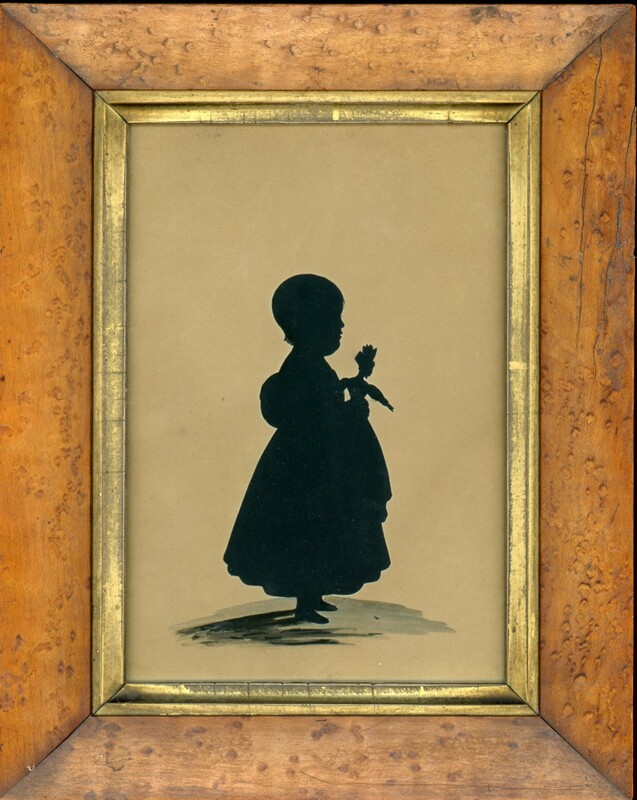 The silhouette is cut out and stands on a watercolour wash base. It is inscribed on the reverse and dated 19th January 1835. Fine condition. Frame: Original bird’s eye maple frame with a gilt slip. A copy of the inscription has been pasted on the backing board.